Several months ago I was talking with some colleagues about the role of Salt Lake County within the Utah Association of Counties (UAC). 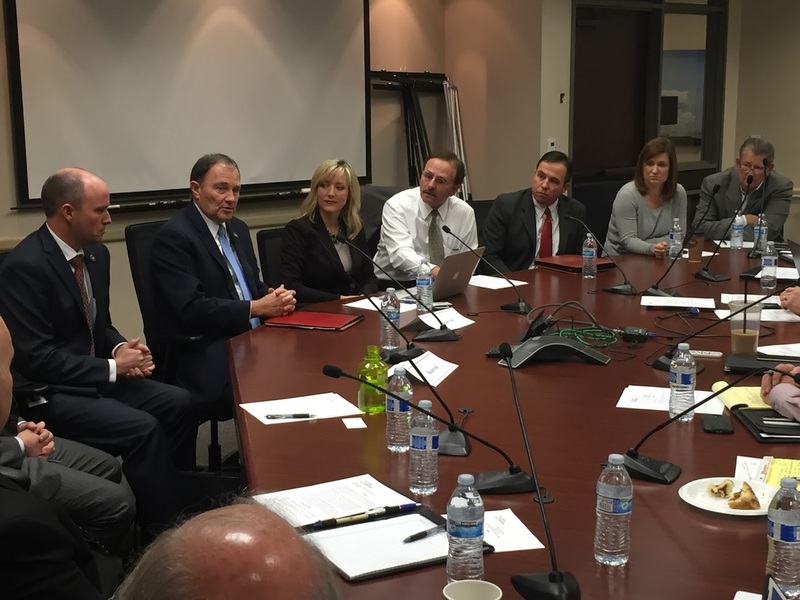 This conversation continued at the annual UAC conference when I asked county commissioners from Davis, Weber, and Utah counties if they would be willing to meet as a group of urban counties to discuss unique challenges that come with larger populations. They accepted my invitation and several other counties also wanted to be involved – Washington, Cache, Uintah, Tooele and Summit. Two months later UAC and Salt Lake County hosted our first Urban County Caucus meeting on January 20. Governor Herbert attended and even brought Lt. Governor Spencer Cox with him. We had the opportunity to talk about criminal justice issues, Medicaid expansion, and economic development. Representative Eric Hutchings also attended to talk about the Justice Reinvestment Act. I was elected as chair of the new Urban County Caucus and will be continuing conversations with these counties so we can learn from each other. UAC has been a valuable partner with counties in the past and with all 29 counties as members, it’s a great place to speak with a unified voice when fighting for a particular issue. But because Utah has such a diverse geography, it means that each of the counties have different concerns as well. For example, Salt Lake, Davis, Weber, and Utah Counties have very little public lands (with the exception of some National Forest lands), but to the south, east, and west of us, virtually all of the state is owned by the federal government. Those counties don’t have the same criminal justice, public safety, transportation, and growth issues that the larger counties face. While our issues may be different, it’s nice that we can support each other and speak with a unified voice at the Legislature. I also interviewed with Utah Policy about the Urban Caucus.